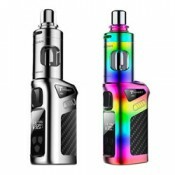 STICK V8 KIT THE PEN STYLE CLOUD BEAST Stick V8 is the newest pen style starter kit from SMOK, whi.. Single Barrel Quad Coil60W - 190W / Best: 90W 160W0.15Ω Other Coils Available for TFV12 Beast Tank ..
Duodenary Coil (Twelve Coils)60W - 350W / Best: 130W - 200W0.12Ω Other Coils Available for TFV12 Bea..
Quattuordecuple Coil (Fourteen Coils)80W - 350W / Best: 130W - 200W0.12Ω Other Coils Available for T..
Octuple Coils70W - 320W / Best: 120W 200W0.16Ω Other Coils Available for TFV12 Beast Tank .. 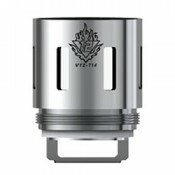 Brings you massive vapor and rich flavours 0.12ohm Decuple Coils60-120w / Best 80-110wCOMPATIBLE WIT..
Total capacity 2ml* not 5ml for UK lawTFV12 Prince Tank, the baby of the super powerful cloud beas.. Compatible with 3.7v mechanical mod (Such as Stick v8) Brings you cool and smooth taste. 0.25ohm dua.. 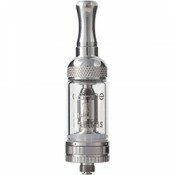 Brings you deep and rich cloud taste0.4ohm Dual coils40-80W / Best 55-65W Other Coils Available for .. Brings you deep and rich cloud taste0.2ohm sextuple coils40-130W / Best 70-90W Other Coils Available..
0.3 Ohm replaceable V8 Baby-M2 coil headCompatible with SMOK TFV8 ‘Baby' & ‘Big Baby' tanksDesigned ..
TFV8 Baby, TFV8 Big Baby, TFV12 Baby Prince V8 Baby-T12 LED Light Duodecuple Coils are designed to b.. Brings you a cool and smooth taste.0.2ohm sextuple coils40-130W / Best 70.90W Other Coils Available .. 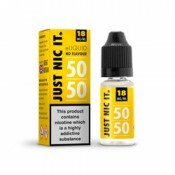 Brings you deep and rich cloud taste0.15ohm dual coils50-110W / Best 60-80W Other Coils Available fo..
Total capacity 2ml* not 5ml for UK lawBIG BABY BEAST TFV8 Big Baby is the enlarged version of Baby..
Total capacity 2ml* not 5ml for UK law TFV8 Big Baby Light Edition tank is an advanced version of TF..
Total capacity 2ml* not 5ml for UK lawSince the beginning of TFV series tank innovation we have b.. Brings a smooth and silky taste0.15ohm quadruple coils30-70W / Best 45-60W Other Coils Available for..
T-PRIV My Conquest Is the Sea of StarsHollow out design of T-Priv mod shows domineering, the big.. The V12 Prince Strip coils are manufactured by Smok and are compatible with the V12 Prince tank. The..
Premier Vaping stock every variety of genuine SMOK coils for the TFV12 Prince tank at the lowest onl..
Vape Pen 22 Mesh Coil,Compared with the traditional coil, Vape Pen mesh coil has a wide heating area..
X-Priv Kit X-Priv, a perfect combination of power and beauty. It is covered with glassy ..
Smok TFV8 Coils Replacement Atomizer Heads for the SMOK TFV8 Tank V8 Baby-T8 Octuple Coil 0.15ohm. D..
Smok TFV8 Coils Replacement Atomizer Heads for the SMOK TFV8 Tank V8-T6 Sextuple Coil 0.2ohm: Desig..
Smok TFV8 Coils Replacement Atomizer Heads for the SMOK TFV8 Tank V8 Baby-T8 Octuple Coil 0.15ohm. .. Strawberry Sour Straws by Bazooka Sour Straws takes the classic strawberry liquorice lace taste and .. Strawberry Shake e-liquid by Pocket Fuel provides the taste of a strawberry milkshake, without the c..
Tangy Tutti Frutti by Strapped E-Liquid – A tongue tingling takedown of tutti frutti sourness that w.. They doN'T caLL iT ugLy for noThing… Uncle FreDDy's famOus, fancy FRiED DOUGH, sHOwered wiTh carniva..
V8-Q2-EU (0.4 Ohm Octuple Coil) Brings a deep and rich cloud taste Operating Wattage Range: 40W-80W..
KonceptXIX or Koncept 19 is a new range of E-Liquids from Vampire Vape. The brand concept features ..
IncludesDiagonal PilersNipperCross Screwdriver 3.5mmCross Screwdriver 2.8mmStraight Screwdriver 3mmS..
Premier Vaping stock every variety of genuine Vaporesso coils for the Guardian tank at the lowest o..
DetailsPremier Vaping stock every variety of genuine Vaporesso coils for the Orca Solo Kit at th..
DetailsThe Vaporesso Swag Kit combines the Swag 80W mod and the NRG SE Tank to create a setup th..
DetailsThe Tarot Nano Kit is the Bee’s knees, one drag after another it’ll prove itself the set-..
VooPoo Uforce N2 Coils 0.3ohm 5 Pack..
VooPoo Uforce U4 Coils 0.23ohm 5 Pack..
VooPoo Uforce U8 Coils 0.15ohm 5 Pack..
Watermelon Sour Straws by Bazooka Straws blends a fresh watermelon flavouring infusing it with a cla..
Watermelon Ice Sour Straws by Bazooka Straws blends a fresh watermelon flavouring infusing it with a..
Wick Liquor Boulevard. Mardi Gras fruit punch and fortified Malibu Loganberry pulp, 3mg..
Wick Liquor Boulevard. Mardi Gras fruit punch and fortified Malibu Loganberry pulp, 6mg..
Boulevard Shattered eliquid is a punchy combination of fruit and menthol. From your first inhale you..
Santa Monica glazed dough rings and Cholo sugar skull cake 3mg..
Santa Monica glazed dough rings and Cholo sugar skull cake, 6mg..
Carnival by Wick Liquor features a blend of Sweet Doughnuts with Vanilla Cholo cake.Available in a 5..
Sicilian vine citrus and Porta Fortuna fruit compote,3mg..
Sicilian vine citrus and Porta Fortuna fruit compote, 6mg..
Wick Liquor presents the formidable Big Block.50ml of 0MG boutique e liquid, presented in giant unic..
Santa Barbara coconut husk and Chula Vista sugar cane, 3mg..
Santa Barbara coconut husk and Chula Vista sugar cane, 6mg..
50ml of 0MG boutique e liquid, presented in giant unicorn style bottles. All the historic value of t..